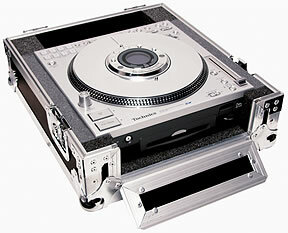 The FSLDZ is built specifically to house your Technics SLDZ CD players. Ruggedly built with heavy-duty steel ball corners and recessed latches and handles. Fully foam-lined, includes detachable lid (not shown).